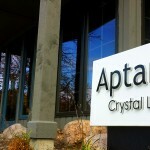 Crystal Lake, Illinois, November 16, 2018 — AptarGroup, Inc. (NYSE:ATR) announced today that it will increase prices between 5 and 10 percent for its beauty, personal care and home care products in North America. The price increases will take effect January 1, 2019 and will be in addition to any price adjustments related to import tariffs. The increases are necessary due to sustained significant cost inflation on raw materials, freight and other inputs. “We are dealing with inflation across all input channels and in each region. As we continue our efforts to increase efficiencies and drive operational improvements, we must adjust our pricing to reflect the escalating input costs. Our price adjustments in North America and other regions are necessary to help us offset these escalating costs while we remain focused on delivering value and innovation to our customers and end consumers,” said Eldon Schaffer, President, Aptar Beauty + Home. Aptar sales representatives will communicate additional details of the price increase and the specific impacts to their customers directly.